In a situation of apocalyptic survival, and in a competitive setting, it never hurts to have a full set of deadly throwers at your disposal. Make sure you are fully stocked with style and functionality with the Biohazard Throwers Three Piece Set. These black painted blades are made from durable stainless steel, with a series of cutouts that lighten their weight. The leaf shaped spear points of these throwers are ideal for balance and precision in your throw. 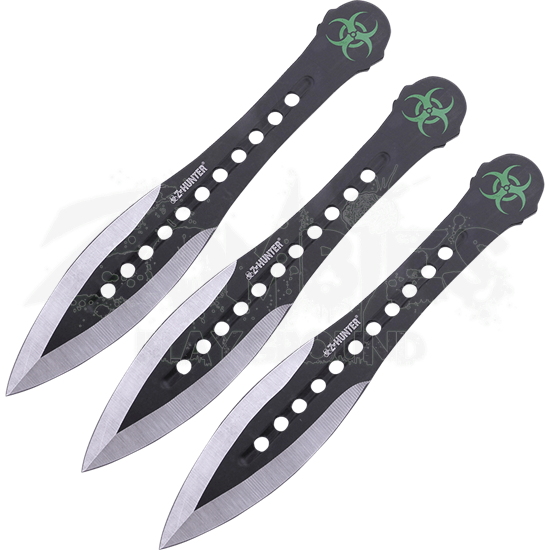 The tops of the handles feature bright green biohazard symbols, giving them a unique edge that is perfect for any enthusiast of the apocalyptic world. 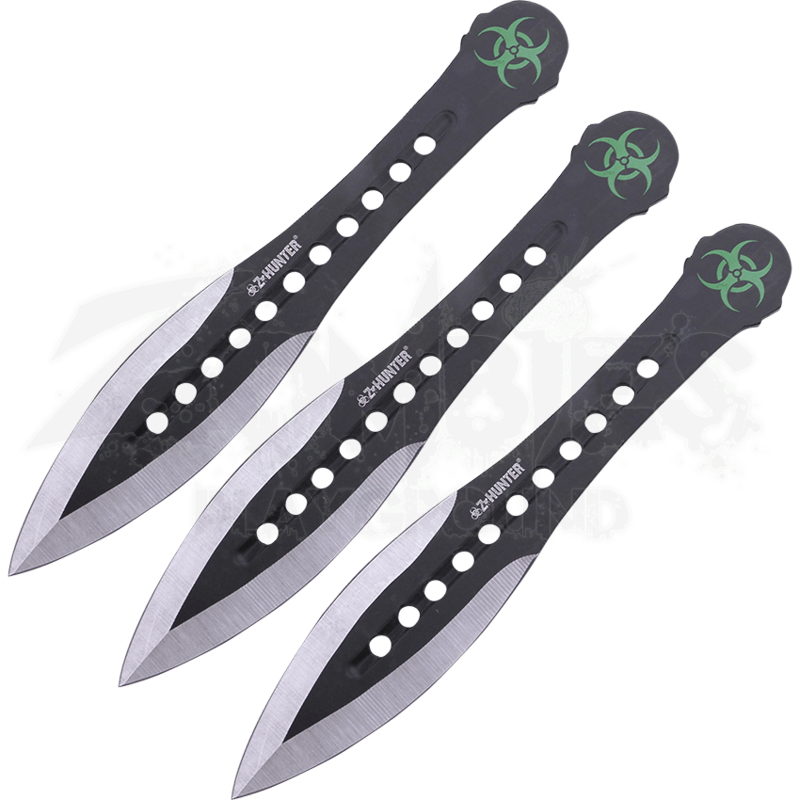 With the Biohazard Throwers Three Piece Set, you get a trio of knives ready for whatever your future holds, whether it is a high intensity competition or a nuclear zombie holocaust.